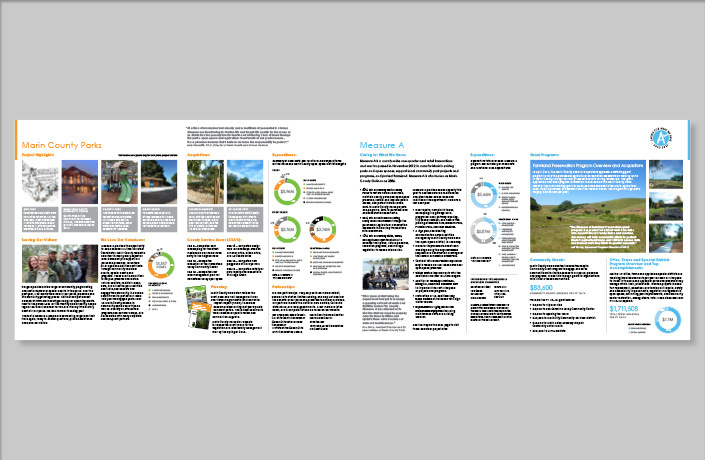 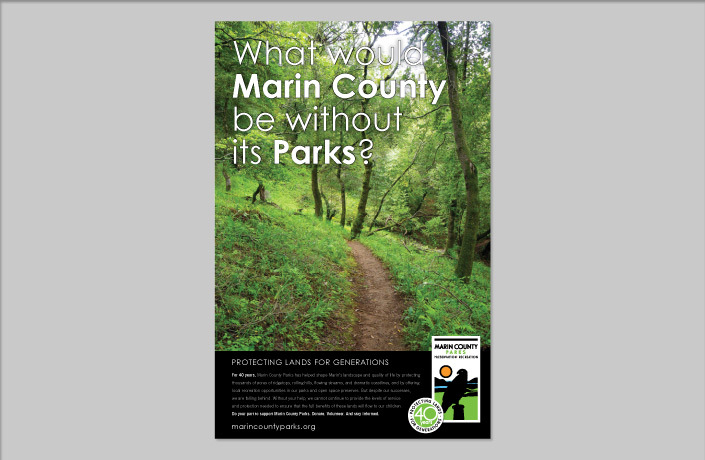 In 2010, The Marin County Department of Parks and Open Space embarked on a process of rebranding. 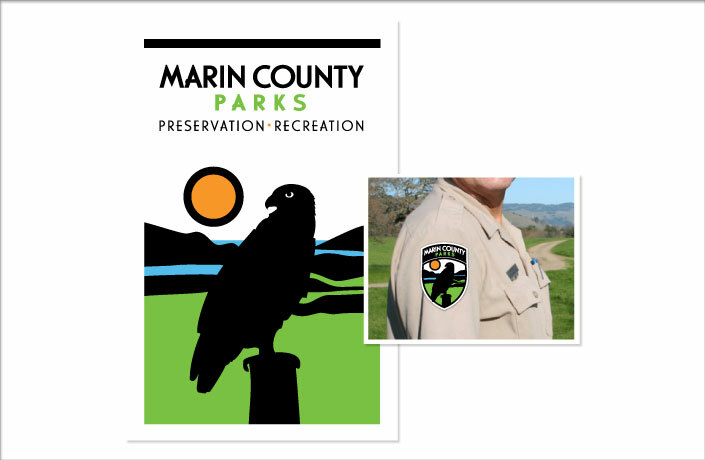 With separate logos for the divisions of Parks and Open Space, and a long name, the Department felt the need unify its image both internally and for its public, which identifies strongly with the parks and wildlands of Marin. 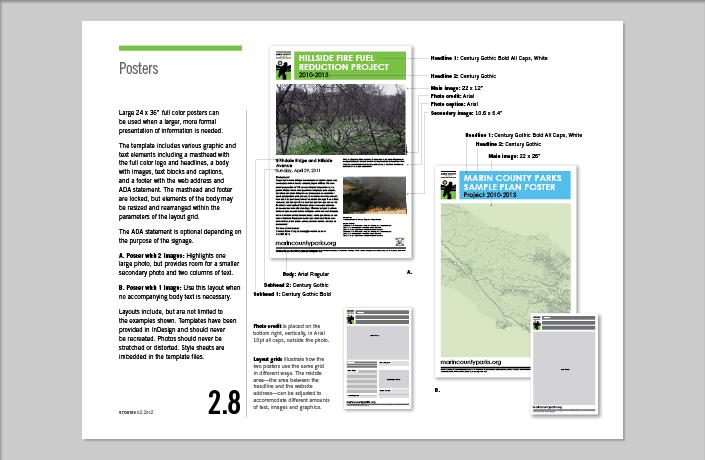 L Studio worked with the Department to develop an identity that would serve as an icon for the precious land resources managed by the County. 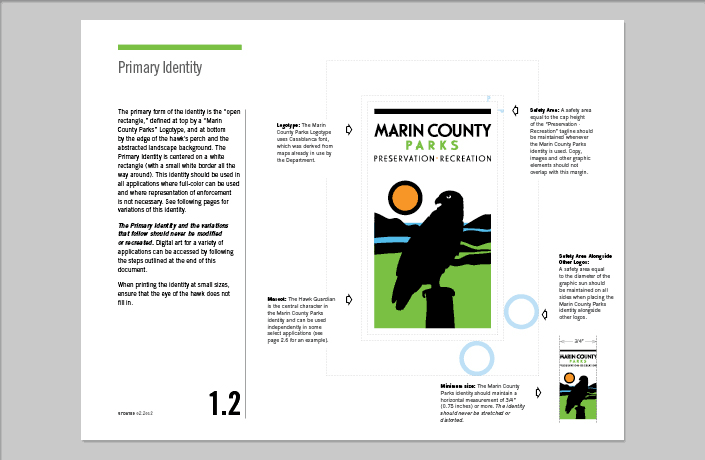 The chosen identity features the bold silhouette of a hawk which carries rich meanings and can be applied in many different ways while remaining immediately recognizable. 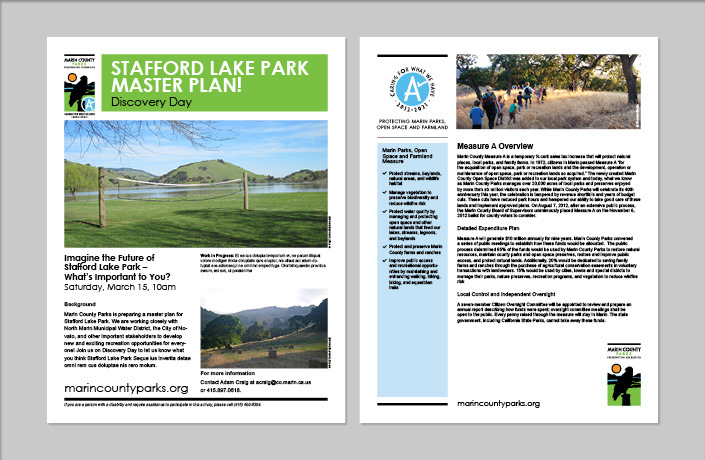 Following creation of the identity, L Studio created a graphic style guide and a series of templates for all major Parks communications. 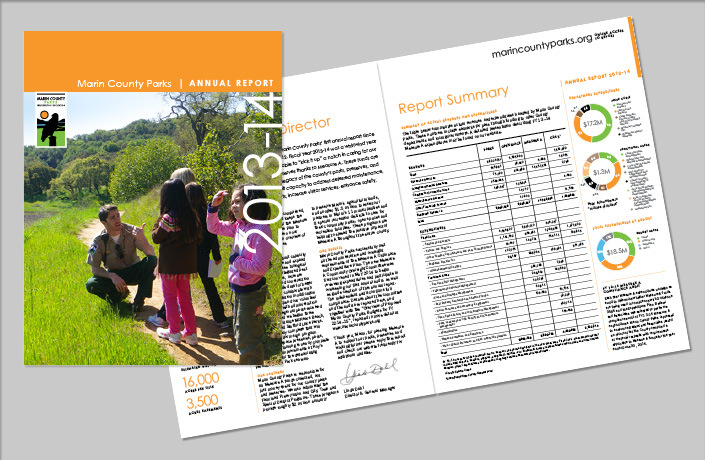 We work ongoing with the Department to produce specialized communications such as interpretive displays and brochures. 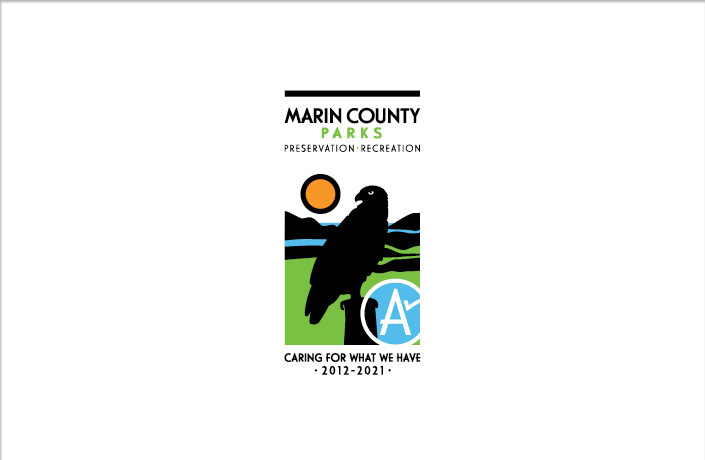 Design of an identity that gives Marin County Parks a mascot, Suyyu the hawk. 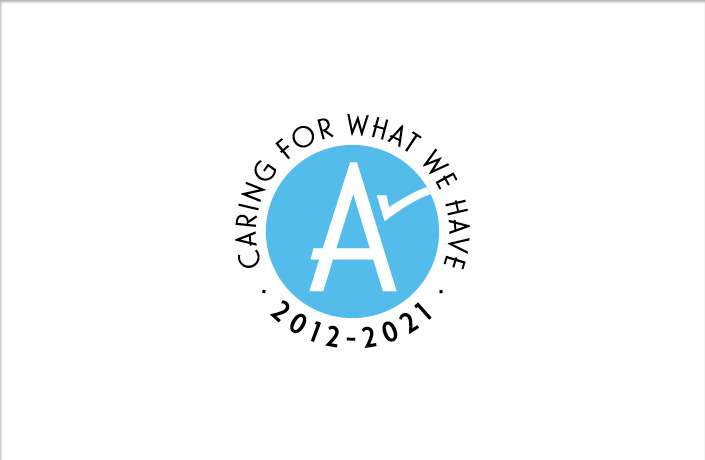 Because of the strength of the hawk silhouette, the logo can be applied in many different ways while remaining immediately recognizable. 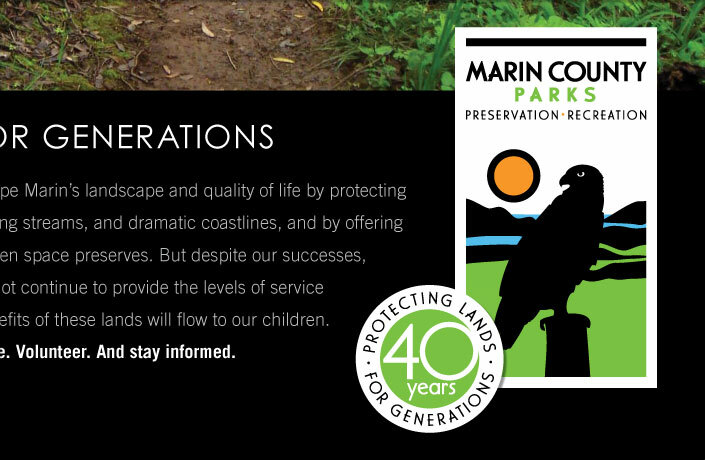 Design of a seal and campaign to celebrate 40 years of Marin County Parks and usher in a new era of public support draws on the County’s strong identification with its green and wild places. 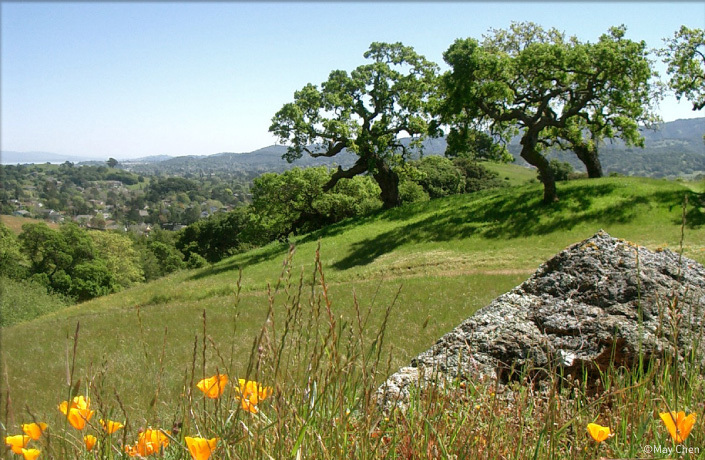 Development of materials to promote the successful ballot measure in 2012 to support parks, open space and farmland in Marin County, as well as a symbol to identify Measure A projects and initiatives and the reporting of expenditures. 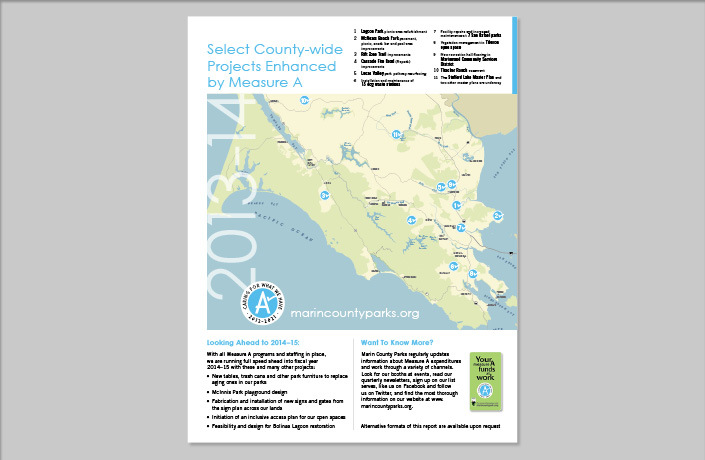 This report will be produced for the next 9 years to provide information about what Measure A is, and how it is being implemented to care for Marin’s parks and preserves. 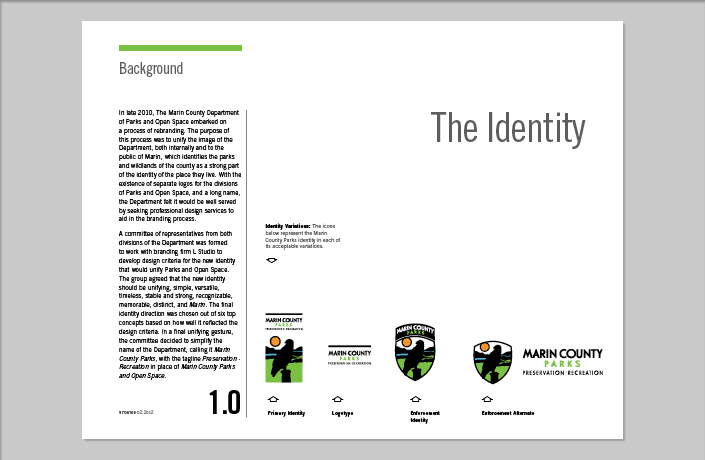 This document outlines the intention of logo and branded materials. 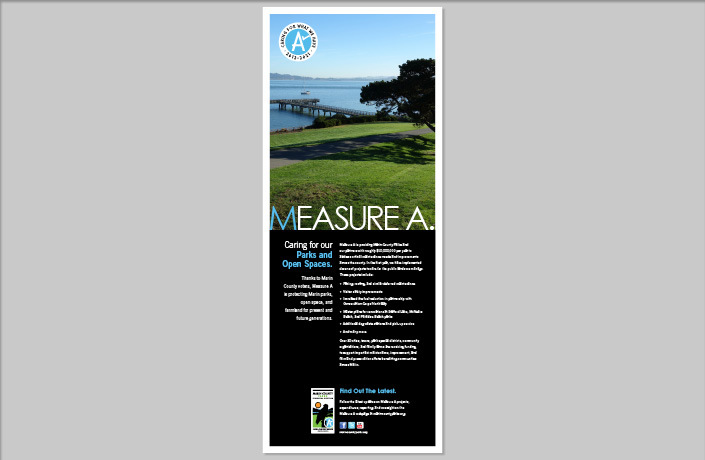 It is used extensively by department staff to create communications materials, uniforms, and signage both in house and with contracted designers.